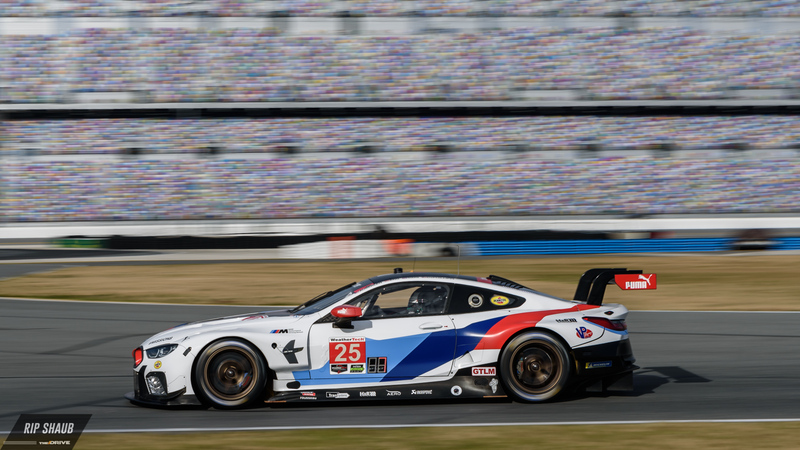 BMW's freshest racer, the M8 GTE, will be making its on-track debut at perhaps the toughest race of the IMSA season, the 2018 Rolex 24 at Daytona. Having successfully completed long rounds of endurance testing at the Lausitzring, the car will be faced with a day-long competition, making for especially tough proving grounds against its established rivals. 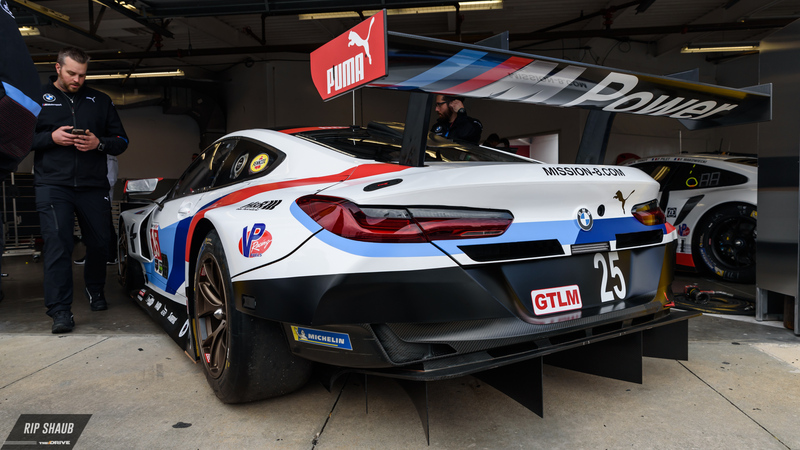 Throughout development and public testing, the M8 GTE has remained mostly anonymous in stealth-black camouflage, but with its big day less than 72 hours out, the manufacturer debuted the official race livery in traditional red, white, and blue on Wednesday night. The unveiling was held at the Hilton Oceanside Resort in Daytona, and along with the Bavarian marque's newest motorsport machine, a slew of classic BMW racers set the stage. A BMW M1 in similar attire sat beside the M8 GTE, showing the contrast between contemporary Bimmers and those of the '80s. More than anything, BMW says this to be a modern evolution of that same ethos. 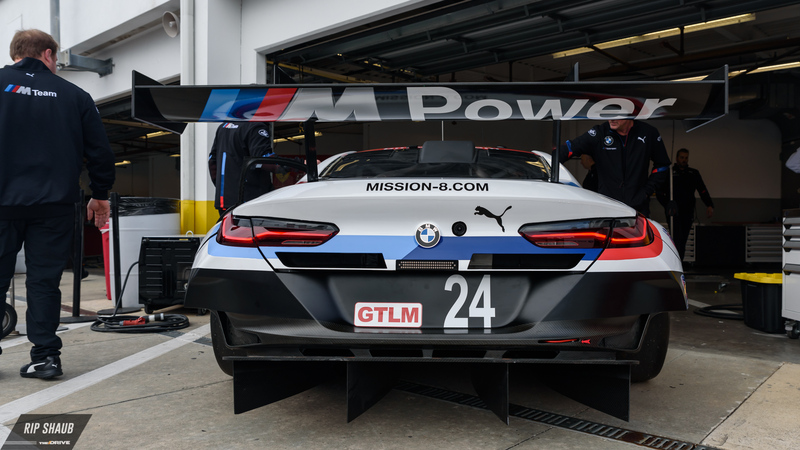 Head of BMW Motorsport, Jens Marquardt, professed that the team which developed the race car version had to work in close cooperation with those in the road-going production sector of BMW. While the GTE model does share other bits with its expectedly-tamer sibling, its engine is said to be "significantly revised" from road spec. This differs from the outgoing M6 GT3 whose chassis was majorly different than its pedestrian counterpart with the engine being more or less alike. 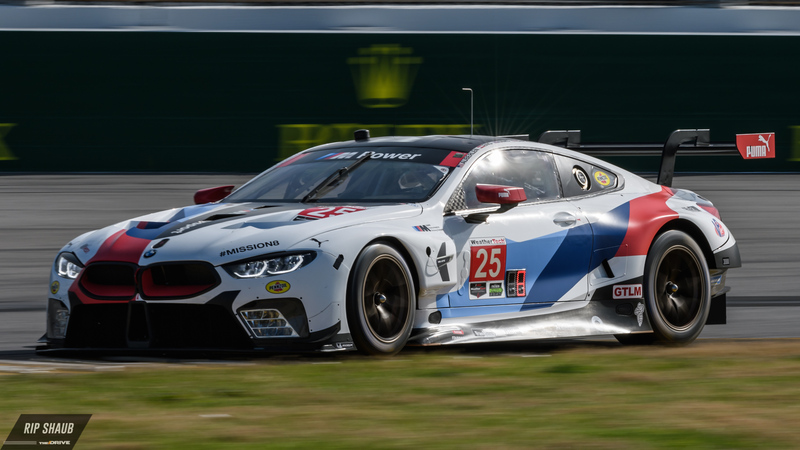 BMW's WEC team members will be at Daytona this weekend observing the car's IMSA WeatherTech Sportscar debut, assessing it for the 2018/2019 "Super Season" and beyond.